While technology can be a difference maker for organizations, when employees or business go “rogue” and bring in products and services without permission, it can cause problems. This phenomenon, known as “Shadow IT”, is spreading as technology solutions become more plentiful and can be purchased with a credit card and the click of a button. This opens up a Pandora’s Box of problems for the enterprise. 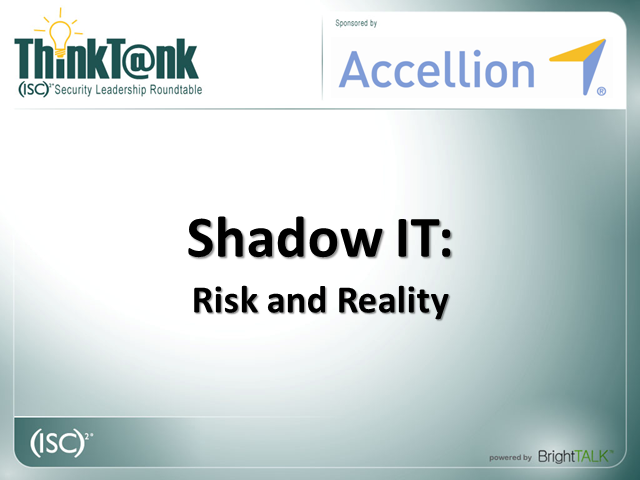 Join (ISC)2 and Accellion on August 18, 2011 at 12:00pm Noon Eastern for a roundtable discussion on this emerging threat and find out what the risks, realities and solutions are.